Check ticket prices as per events. Check hours as per events. 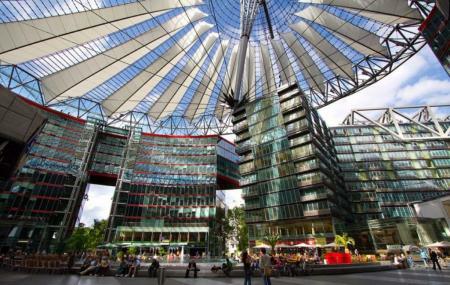 Get to Potsdamer Platz Station. How popular is Sony Centre? People normally club together Kurfurstendamm and Tranenpalast while planning their visit to Sony Centre. They wanted 250 EUR to repair my Z5 phone that was working and only had a cracked back panel. A new Z5 costed 350 EUR at the time. No problem with the front screen whatsoever. I showed them my old Z2 from 5 years ago, my wireless Sony headphones, told them I only buy Sony, and this is the price they give an old customer? My phone even had a guarantee! Never, ever buying Sony again. A must see place in Berlin. One of the most busiest and happening places with trendy crowd. Many events are conducted around this building complex and also in its basement. The unique roof of this complex is a spot for vast number of photos. We have restaurants, cinema halls and lots of shopping. I love it so much it's really nice and I think find that u can do so many things there. Great store that celebrates the Sony brand and the latest innovations across multiple stores. They have special sales offers too and demo areas. I did not buy anything, but liked the vibe of that place a lot.